One of the movement with hip-hop music and traditional culture is art of rap which is promoted by many hip-hop groups from any areas. In this moment, Swaranang Crew tried to raise awareness of Banjar local culture and it's language in their lyrics, Swanang is a hip-hop group based in South Kalimantan is sharing their insights in this interview. Q : First , What do you think about hip-hop and rap itself? S : Hiphop is a culture that it comes from the tribe of afro-american that in general there are some elements inside, that is MC-ing ( Rap ), DJ-ing , Graffty , and Break Dance or better known as B - Boy. The art of rap is getting into element of Hip-Hop. So its different between rap and hiphop. Q : What motivated you forming SWANANG Crew and how well its history ? S : The motivation we initially formed swanang to advance the genre of hip hop itself in our own way , We were formend from member who loves hiphop and alseo have same love of Banjar culture that we think it's not supposed just be limited to the audience / listeners ..
Q. Talking about the theme , what you want to convey in your lyrics ? S : Well the fact is local banjar itself, and the others are based on our personal experiences . 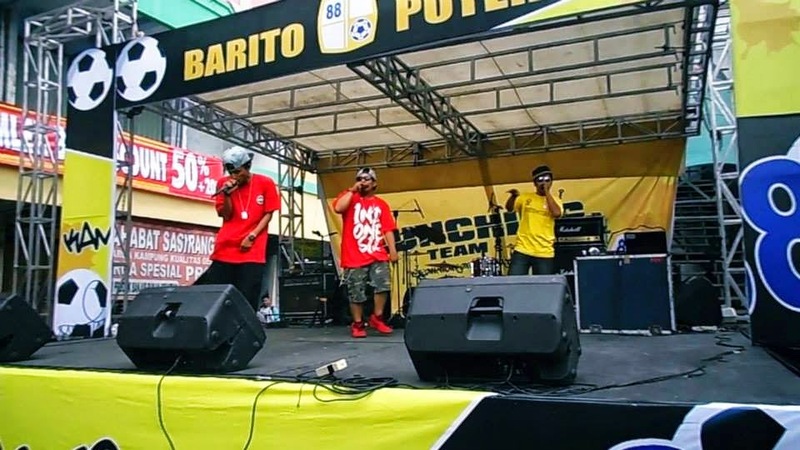 Q Do you think Banjar culture ( both language and art) fits with the culture of hip-hop ? What are the potential of Banjar culture that can be known to the world ? S : For the local language , is very well suited in the mix with hip-hop culture because the music was one of the most effective medium to introduce something new . There are limits to our knowledge about Banjar traditional culture - the sacred boundaries that should not be violated by. Q : How do you view the music scene in Indonesia ( hiphop ) and also in South Kalimantan ? S : We can say Indonesia hiphop movement is solid because it is already very advanced in the media and enthusiastic support of the people there is very great. And in South Kalimantan movement itself is still being minority of local music scene because less minimal public enthusiasm. Q : What are the works that you produced? And what are your future plans ? Are there plans to make the lyrics in English ? S : There are already some worsk that we have produced and we managed to publish to the mass media . Some works are successfully received a positive response from the public . The evident is from the increasing number of Internet downloaders in our page. Our plan ahead is managing Banjar culture to be part of Global culture. The planning to make lyrics in English is still in consideration. Q : Who are your favorite rappers ? How about DJing ? S : La Coka Nostra , Eminem , NWA , D12 , TI , Snoop Dogg , Jay Z , Beyonce , Ashanti , Tupac Shakur , G - Unit , Notorious BIG , DJ Khaled , Ludacris , Cashis , Usher , Chris Brown , Nas , Kanye West , Birdman , LL Cool J , Rakim , many more. DJing in Banjarmasin is far from being called as real DJs because I have met most of them just havelittle understood of producing music session (creating their own original tracks) because DJ should act like as music producers who fully understands the production session in detail rather than just playing random remix tunse. Q : In producing a song , how long does it take? The lyric, the beat, recording? Can you tell us technically ? S : Perhaps most of our time consuming is mixing and mastering session and also in the making of musical arranging because as we know to create work that is not easy. One of them is a good mood . Technically, Beatmakers make musical frame first as a guide later in the execution of the next rappers that fill in the beat. Q : What is the biggest dream Swanang crew ? How do you feel about the dream of becoming rappers and people who want to plunge into this scene? any suggestions? S : Our greatest dream is performing in the presence of Queen Elizabeth in the UK with Sasirangan traditional clothes. Becoming a rapper is the right of everyone. And if you have talent and opportunity inside, just improve it. Q : Last , Do you actually adopting hiphop culture in your life?